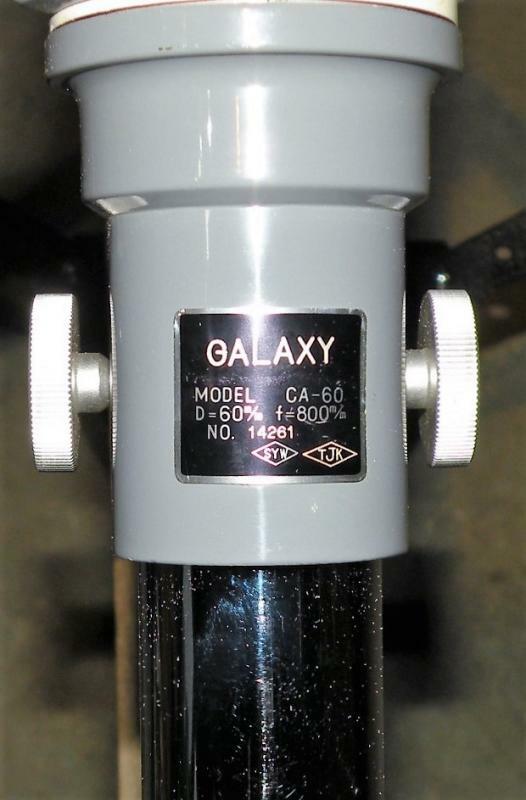 I have an SPI 60mm f/20 that is a clone of the Astro R-61, it carries the diamond-OTC mark, yet I believe we are just about certain that these were made by Astro. So the mark may be that of the exporter and have not as much to do with the factory that made the scope, as we usually think. Correct. 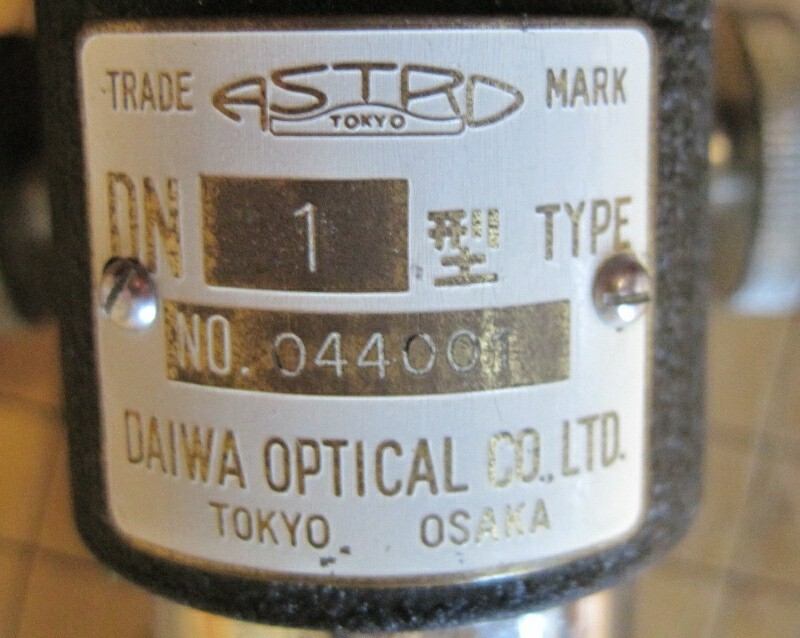 Many exporters appear to have their specific marks on binoculars and telescopes as well. 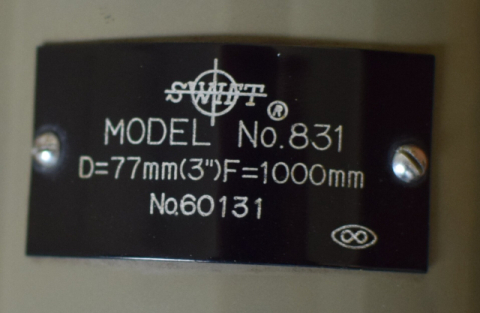 Other markings represent the actual shop that assembled the bino or scopes in our case. Going thru the archives of "The Comprehensive List of Japanese Symbols" thread, many believed that the mfg or distributor symbol on the 1960/61 and up Swifts is "A V A". Instead I now believe that "A M A" is the correct abbreviation which would stand for the "Associated Manufacturers Agency". With respect to Swift 1960 or 1961 on up telescopes that do not have the infinity symbol on the name tag. I found this information listed several places on the following website of miniature binoculars.com pertaining to what the three letters and or symbol actually represents on the focuser name tags. "Japan based Associated Manufacturers Agency located at Nakano 6-22-10 Nakano ku, Tokyo, Japan is a Japanese trading company and/or importer and exporter. Believed active from around 1958 to the present, it is listed in Japanese business directories as specializing in “Optical Instruments and Lenses”. Associated Manufacturers Agency, Exporter Brands: Swift. Manufacturers observed of Swift brand binoculars of this type. This is information I've come across trying to research the distribution/exporter origins of the older pre 1960 Swift & Anderson telescopes using the site looking for correlations of Swift bino mfgs/distributors. I have a couple 1958/59 Swift & Anderson No. 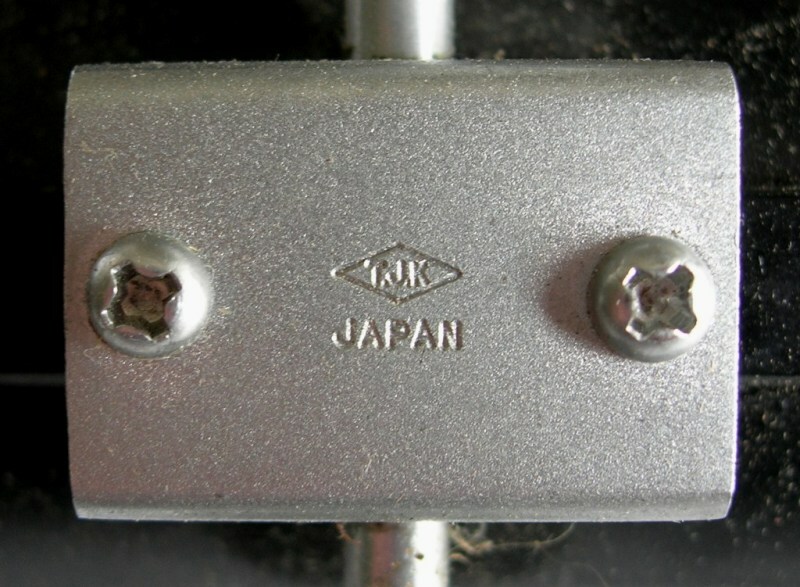 819 models that have the diamond <TJK> stamped on the bottom of the pinion block. It is an distributor company in Japan also found on early Swift binos. Also on late 50s Swift & Anderson No. 820 60mm x 800mm, the pinion blocks look to have a decal of diamond <TJK> symbol as well. See info pics on the <TJK> symbol. Thank You Very Much For Sending Me Important Information. The Swift Telescopes Labels Are Very Interesting. What Was Printed On The Front And Back Was Using The Label All Over Again? The mark of the Nippon Telescope is unknown. (= AVA?)" 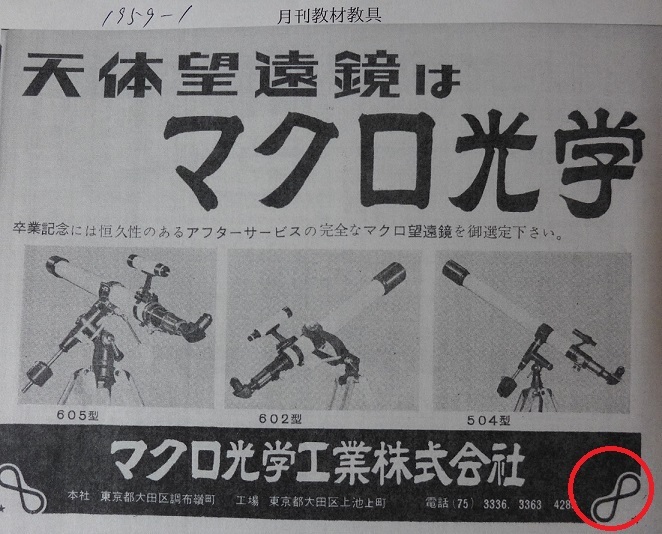 That could explain the infinity symbol on the early Swift scopes, as Dr. Kojima also founded Astro Optical and Macro Optical Industries. It also looks like the lower part of the Macro Optical logo is very similar to the Astro Optical logo. The more I look at it, I wonder if it could be an Astro-stylized version of the Rod of Asclepius. Greek mythology says Asclepius was the son of Apollo. A healer killed by Zeus and placed in the heavens as Ophiuchus. Still doesn't tell me if it is a makers mark or whose. I wonder if other San & Streiffe refactors have this symbol? I read in another thread somewhere on this forum that Seisakusyo was a general word for factory or company. So it may be OIS for Optical Instruments Seisakusyo. Which could be the same company as OIC, where they went with the Japanese word instead of the English word. Just a wild guess. . Came across a mark I have not seen here before. Not putting up photo as I do not own the telescope. Yet. I have a diamond ots on my Monolux also. As far as I know it has not been identified. If I remember correctly one other cloudy nights member has a diamond ots symbol also. Yes Steve, exactly like that. 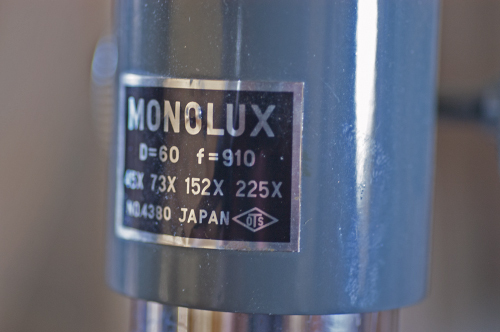 Saw an ad on the bay for a monolux telescope in a cardboard box but had the diamond oTs mark. Not 4380. Adds to my confusion about this mark. Edited by Russell Smith, 03 April 2019 - 08:32 PM. Steven I have a scope with two symbols the the common syw and the less common tjk. Edited by walter a, 07 April 2019 - 03:23 PM. They still make Vixen binocular and spotting scope products. Here is the list. I need to get some translations for the company names. H.O.C. still has best association with Hitomi Optical Machine Company from post #80 above. 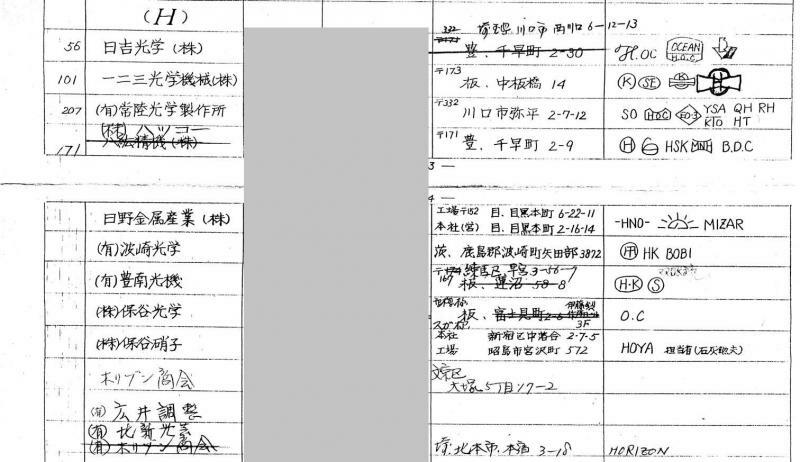 Galakuma posted today on his forum that Mr. Katsumi Hitomi had a number of companies (or one that was known by more than one name) that were involved with telescope manufacture and exportation. The specific company of his that is associated with H.O.C. maker's mark is Hitomi Optical (Light Machine) Co., Ltd. if I am reading his post correctly. So I think this is reliable at this point.